Parfait is a beautiful Hemi Accoyo Female that we are thrilled to have the opportunity to have in our herd. He is Dense. He is Fine. 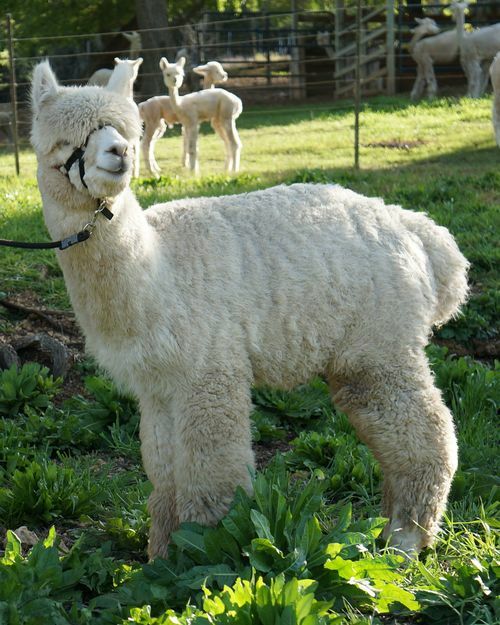 He has a beautiful, fine, silky fleece with bundles, brightness, long staples, and a well-defined high frequency crimp. His fineness persists as has his dam's and as has his sire, Snowmass Matrix. Every one of his dam’s (Valedar's Parfait) offspring has EPD''s for fineness in the top 1-3%. 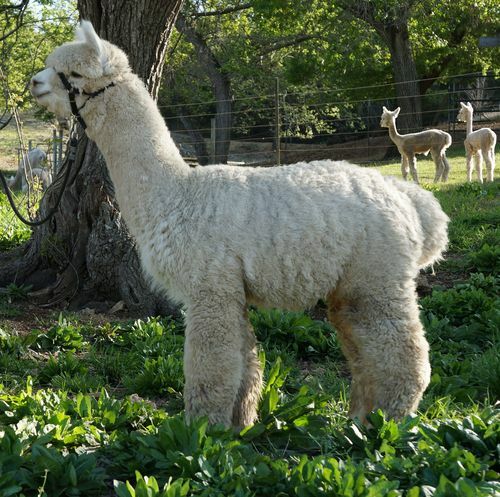 As the U.S. alpaca industry matures and advances, breeding decisions are being governed more by the objectivity of science and less by the hype of marketing. 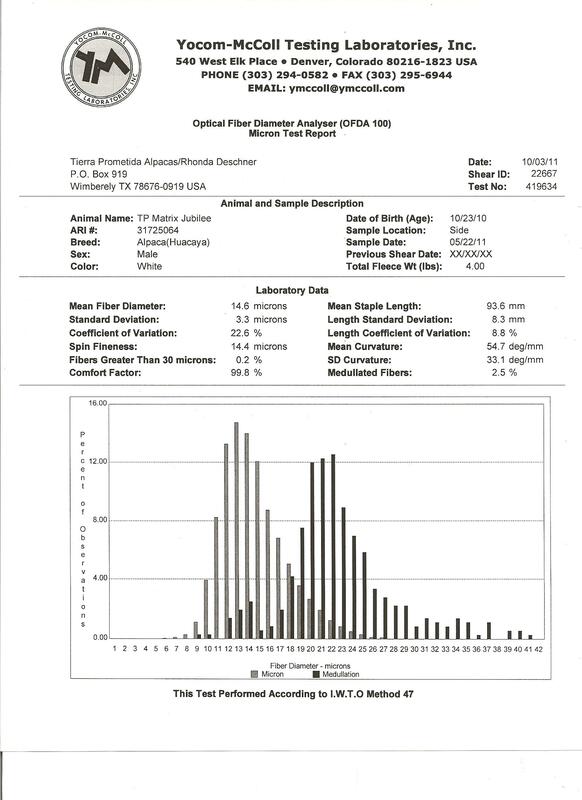 Fiber measurement, Estimated Progeny Differences and skin biopsy study all give us insights that can only narrow breeding decision making. 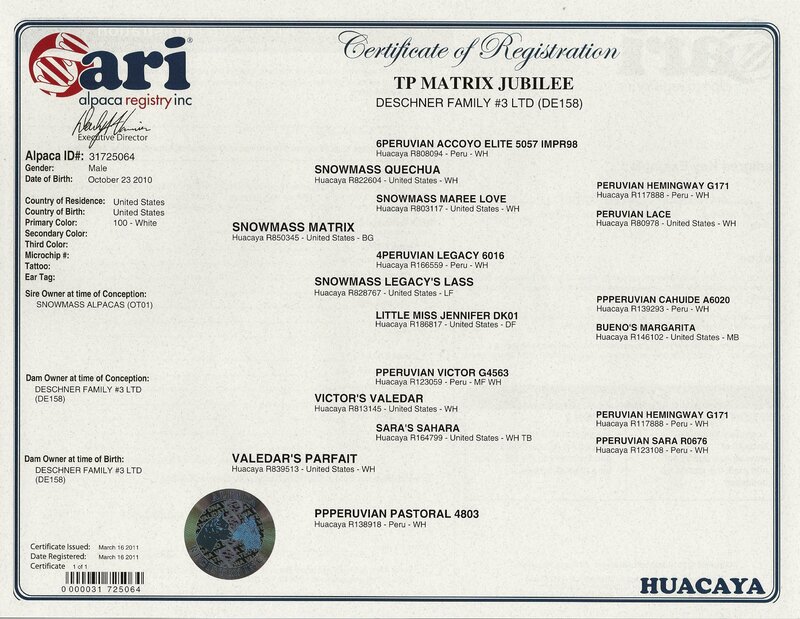 All of these facts are available in predicting TP Matrix Jubilee's worth as a stud male. Jubilee’s 2014 EPD’s place him in the top 1% for 4 traits. Jubilee is conformationally beautiful and is extremely typey and compact. In addition, he carries a fleece that is stunning! His strong EPD's from both his dam and his sire are rock solid and predict that he will be able to project these fleece characteristics to his offpring in a reliable and predictable way. 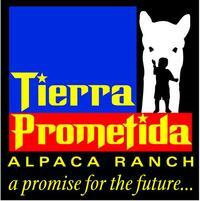 All alpacas are not created equally....TP Matrix Jubilee is living proof and the science says so! We are proud to co-own Jubilee with Olivier and Patricia Guillotin of Shalimar Alpacas of Warwick, where he gets to spend his summers May- November in New York.